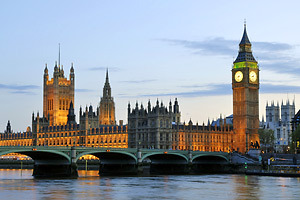 In the United Kingdom, the Meteorological Office considers the 1st March to be the beginning of spring, whereas traditionally the Vernal Equinox which occurs during the night of March 20th or 21st signals its arrival. 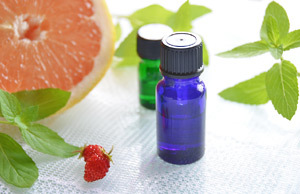 Spring brings us increasing daylight, warmer temperatures, and the rebirth of flora and fauna. In fact the word vernal comes originally from the Latin word for ‘bloom’, and as spring arrives, the countryside of the United Kingdom awakens from its sleep and becomes alive with the color of common spring flowers. Some are more familiar than others, but several of these spring flowers have a very long history and have been known and loved for centuries. 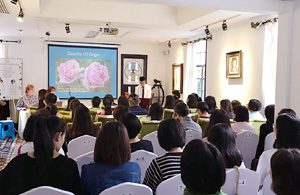 Flowers such as the daffodil, English primrose and bluebell are historic institutions in the British spring flower world. Daffodil is a generic name that is often used to describe the botanical genus Narcissus of the Amaryllis plant family, and the flower is native to Europe, North Africa and Asia. Daffodils bloom throughout spring depending on the mildness of the season, although quite often you can see them as early as February in the United Kingdom. 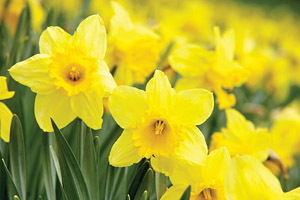 Daffodils are a traditional golden-yellow color, although it is possible to see several variations in their color, particularly amongst wild daffodils. Flowers of the Narcissus species are easy to spot; they have a central “trumpet” surrounded by a ring of six floral leaves. Daffodils are toxic because they contain an alkaloid poison called lycorine which is found in the bulb and the leaves of the plant. Traditional Japanese medicine used the root of the daffodil root to treat wounds, in a mixture with wheat flour paste. Today, daffodil is not usually used for its therapeutic properties in any medicinal format. The daffodil is also a symbol for many cancer charities including Marie Curie who raise money through the sale of daffodils on daffodil days. Primrose Day was introduced on 19th April 1881. The English primrose was reputed to be the favorite flower of British Prime Minister Benjamin Disraeli (1804-1881). Queen Victoria (1819-1901) sent a posy of English primroses to the funeral of Disraeli, in honor of his favorite flower. However, the English primrose was around for a long time before Disraeli set his eyes upon it. English herbalist John Gerard (1545-1612) recorded in his writings that an infusion made from English primrose flowers was useful for the treatment of nervous disorders. Herbalist Maude Grieve (1858-1941) noted that primrose possessed similar therapeutic properties to cowslip (Primula veris), a plant which was common in Europe. Other medicinal uses that have been noted through time for the English primrose are as a treatment for ailments such as rheumatism and gout. Botanically speaking, the English primrose (Primula vulgaris) belongs to the Primulaceae botanical family. You will often see it in the hedgerows, woods and fields that wind round British country roads. 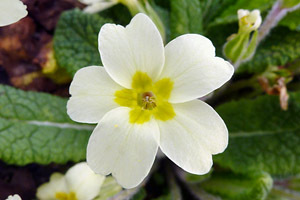 The English primrose usually flowers between April and May; it has small flowers that are traditionally pale yellow in color. 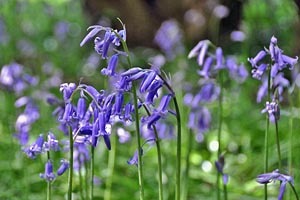 You will find the English bluebell carpeting the ground of British woods throughout the months of April and May. The English bluebell is famous for its lavender-blue, bell shaped flowers that create a virtual carpet of bluebell woods in the spring. There are many species of bluebells which are found throughout Europe, in addition to the English bluebell; these include the Scottish, Spanish and Italian bluebells. English bluebells are now under threat from the Spanish bluebell (Hyacinthoides hispanica) due to spreading hybridization. Bluebells are protected under law in the UK, under the Wildlife and Countryside Act 1981. The bluebell was originally known as Hyacinthus or wild hyacinth, due to a tradition associated with the legend of Hyacinth of the Ancients. This is also from where they gain their botanical name Hyacinthus nonscriptus. To add to the confusion the bluebell was known as jacinth in Elizabethan times. It was also a symbol of grief and mourning. The bluebell does not have any medicinal uses although the bluebell bulb does have diuretic properties. The English primrose is renown as one of the first flowers of the year, and its common name is derived from 'prima rosa' which means 'first flower'. Symbolically it represents both the spring and Easter. Bluebells are usually found in deciduous woodland, and most especially in oak and beech woods. For a few weeks each year in early spring they form spectacular blue carpets spreading amongst the trees. Many people do not know that it is illegal to collect native bluebells from the wild if they are intended for sale.